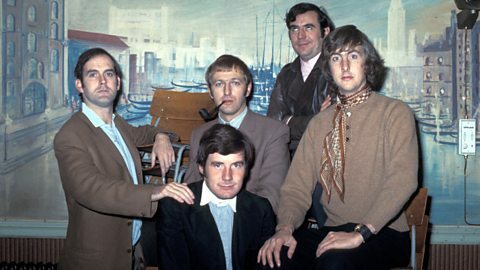 BBC Radio 4 - Funny in Four - What has John Cleese ever done for us? He thinks CBEs are “silly” and turned one down in 1996. He also rejected a knighthood. The Ministry of Silly Walks, which really, like the Dead Parrot sketch, didn’t engender the riot you’d expect when it was first broadcast, has meant any time you have a slight leg injury you’re allowed to ham it up like mad on the grounds that you’re impersonating John Cleese. John Cleese was in charge of writing down all the sketch ideas he worked on with Graham Chapman, as Chapman’s handwriting was so appalling. His hatred of narcissism knows no bounds. In fact, with fellow Python Eric Idle he has penned a song called “F*** Selfies”. Don’t let your anger fester – vent it. Preferably on an inanimate object. For example, as a wound-up man permanently on the verge of a nervous breakdown, Cleese as Basil Fawlty vents his fury by prancing around walloping his broken-down car with a tree branch when it refuses to start. “I’ve always loved radio, and for 400 years I’ve been saying it’s the best medium.” He says. How right you are, John. Anyway… apart from all of the above, what has John Cleese ever done for us? For the first time in his illustrious career, John Cleese tries his hand at being a BBC radio disc jockey. German Comedy Henning Wehn presents the extraordinary tale of when the Pythons went Bavarian. In this 2011 interview John Cleese reflects on his career, including the rivalries between the Monty Python team.